Kingsley Ejiofor was called to Nigeria Bar in 1988. He has prosecuted and secured convictions against counterfeiters of NAFDAC Regulated Products at various courts in Nigeria. 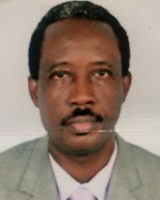 He was one of the international jurists that prepared the defunct International Medical Products Anti-Counterfeiting Taskforce (IMPACT) Legal Framework in Belgium in 2006 and also West Africa Legal Framework on Counterfeit Medical Products and the illicit Trade in Medicine in Guinea in 2012. He audited the Food and Drug Law Semester Course at the Harvard Law School in 2010. He co-chaired INTERPOL World Congress Expert Committee on Supply Chain Security in 2011. As an international speaker and a resource person to INTERPOL, United States Department of Justice, Commerce, and State Department among others; he has traversed the globe speaking on Enforcement, Counterfeiting, IP Crime and Prosecution thereof. Furthermore, he prosecuted the case of Peter Otuomevs.FRN, which established the legal procedure and principle of handling NAFDAC Regulated Products. His position was upheld by the Court of Appeal, Enugu. In 2015, the Investigation & Enforcement Directorate received a global award for its anti-counterfeiting achievements in Buenos Aires, Argentina from Global Anti-Counterfeiting Coalition. Finally, Kingsley Ejiofor is an alumnus of International Law Enforcement Academy, Gaborone, Botswana, and has handled several high profile enforcement operations including but not limited to the single seizure of counterfeit/fake drugs worth US $55 million.